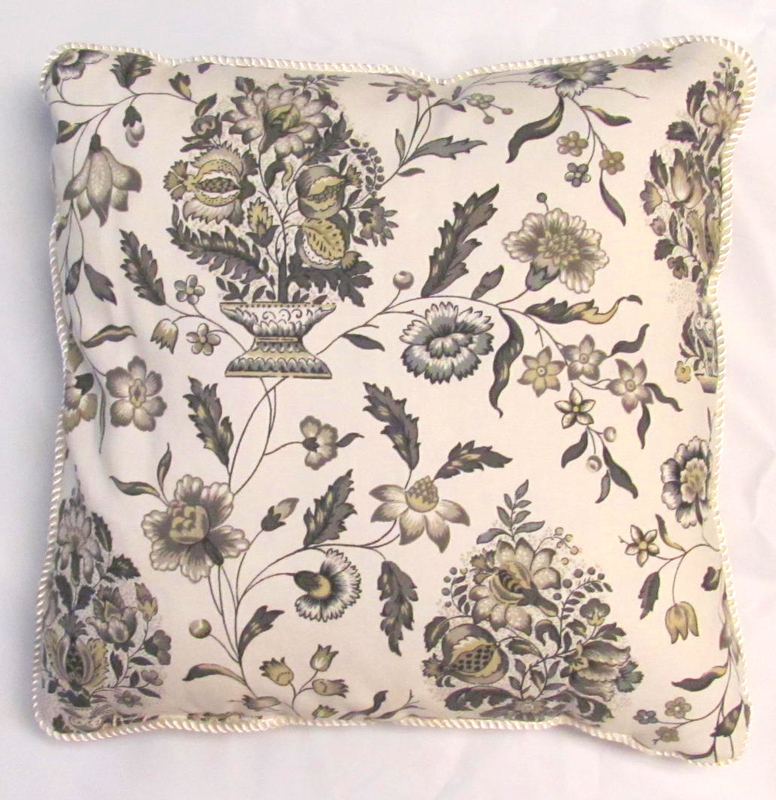 This pair of 18x18" stuffed decorative pillows features floral embroideries to match the Andorra quilt set. 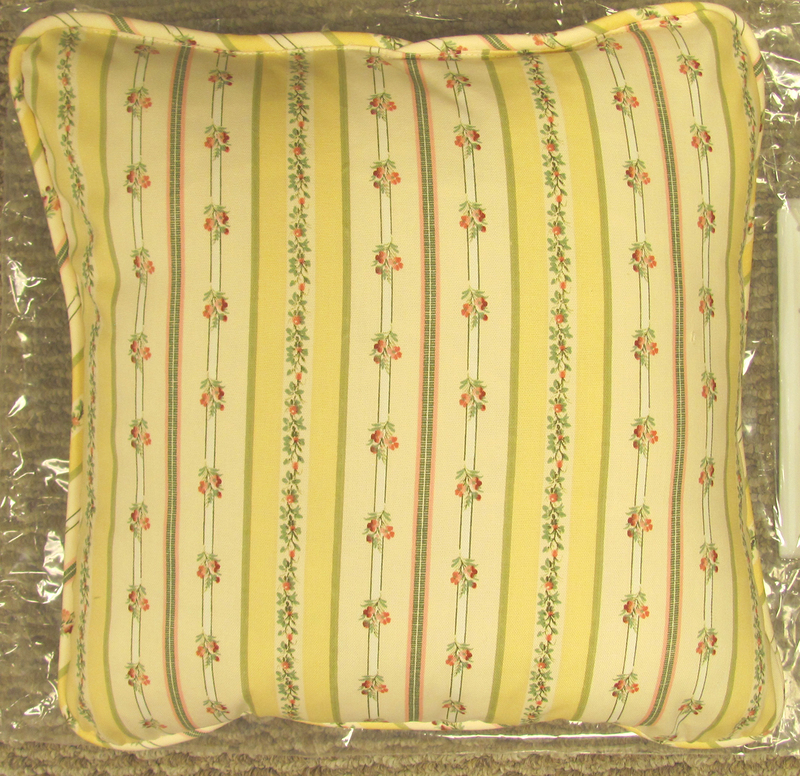 Each pillow measures 18" x 18". 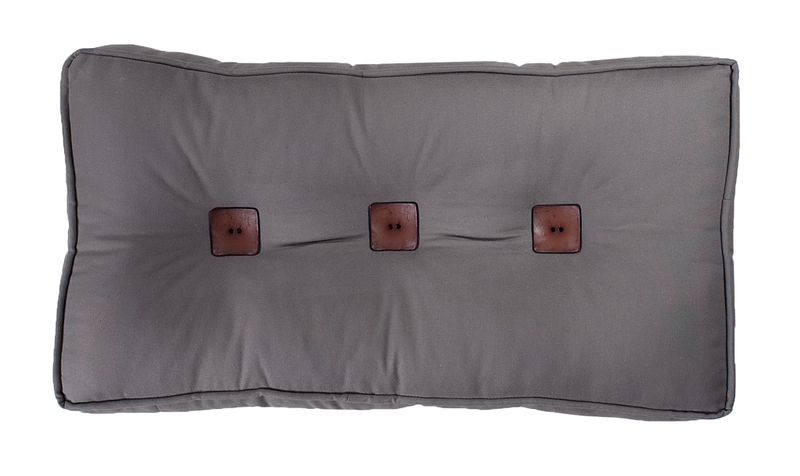 From our Almost Custom program and made in the USA, our Neckroll Pillow offers an interesting look to any bedroom. 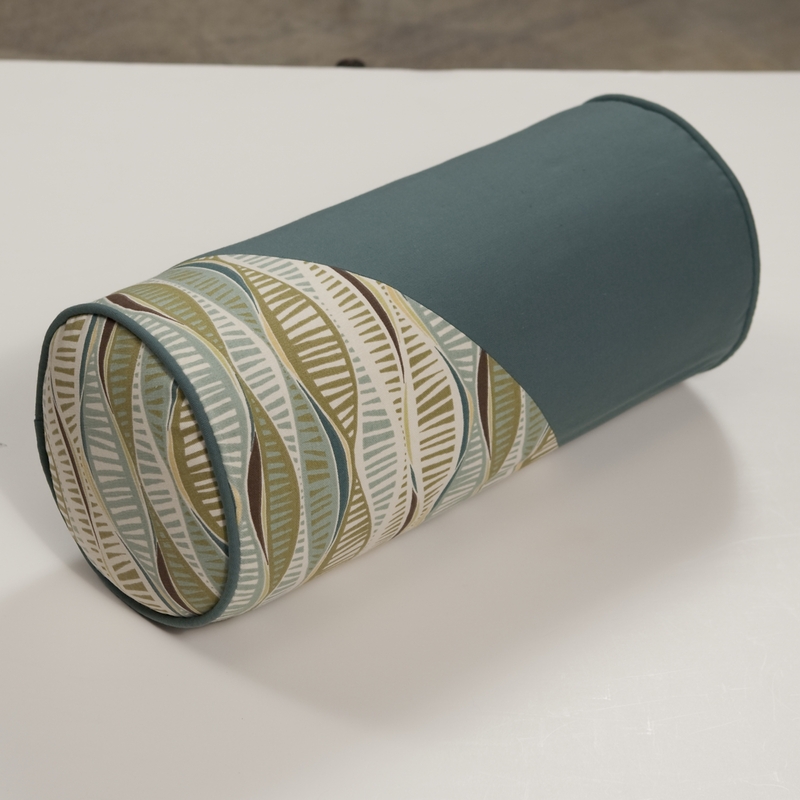 It is a simple, but trendy bold stripe pattern in Blue, Gold, Green, and White. It measures 8" in diameter x 17" long. Polyester fiber filled, and self corded on ends. 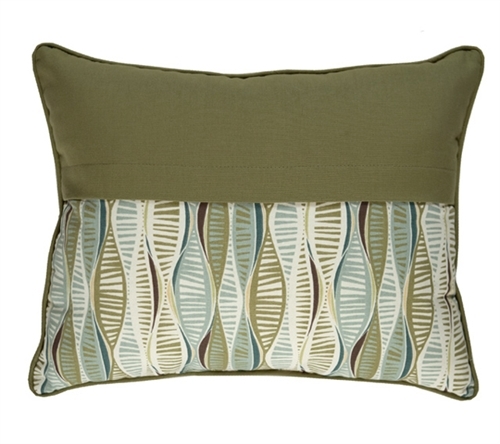 The handsome Envelope Pillow measures 14" x 18" and features Sapporo Stripe on the self corded flap. 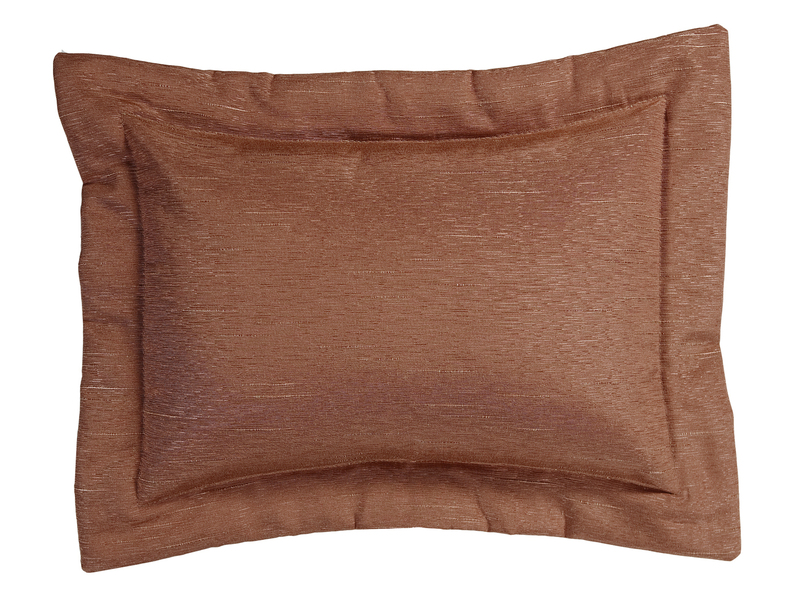 Body of pillow is solid gold. 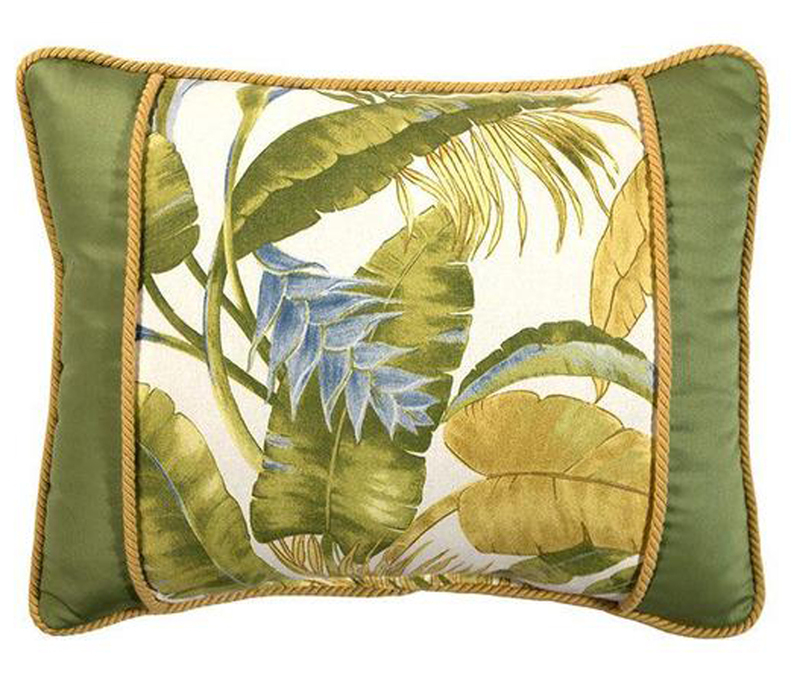 Complete your decor with the LaSelva tropical decorative pillow, accented with coordinating twisted rope cording around edges. Dimensions: 17 x 17 (flat measurement). Fabric Content: 100% Cotton, poly fiber filled, dry clean recommended. Pillow face is Four Seasons Robin Egg, back is Courtney Plaid. 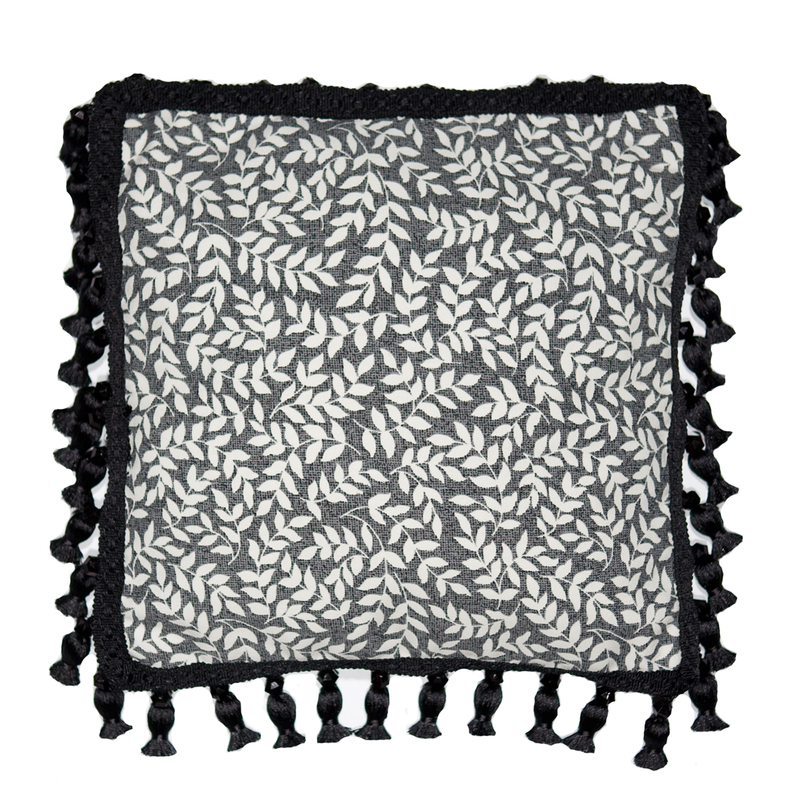 Made in the USA by Ellis Curtains of 100% Cotton 7 ounce Duck. 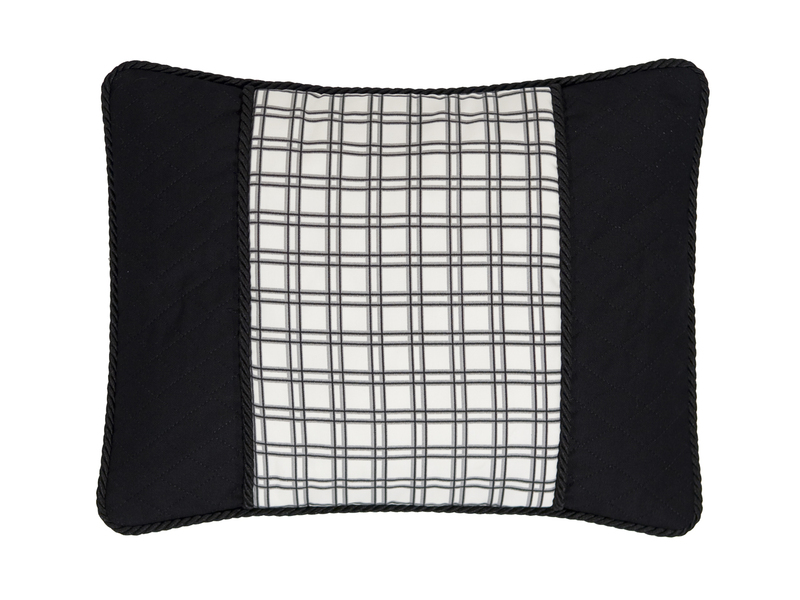 Toss pillow reverses to coordinating Logan Check. Edges are corded. Dimensions: 17" x 17". Black and Red is sold out. 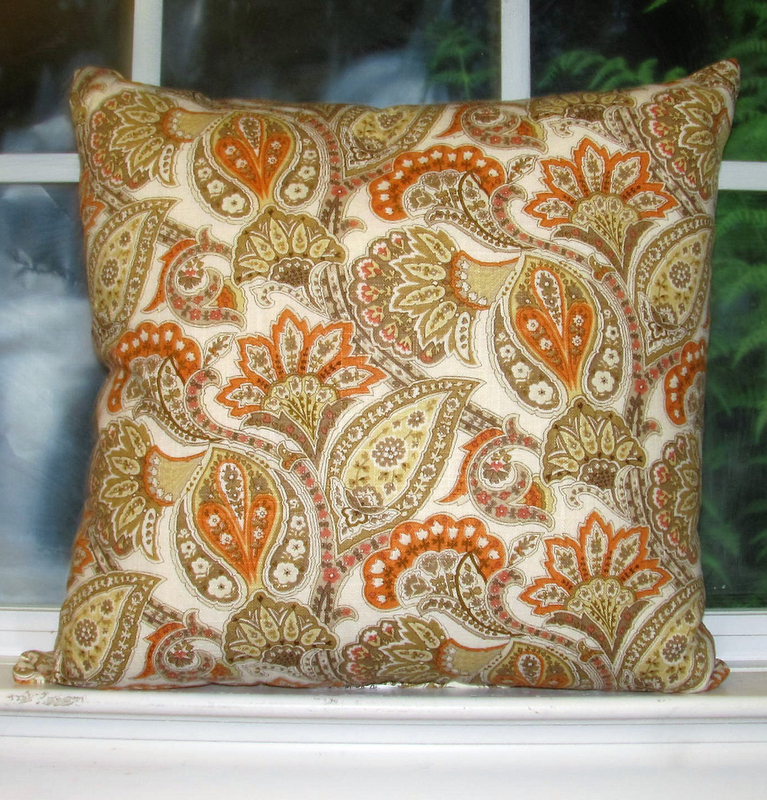 Pillow is corded. Ticking Stripe print on both sides. Imperial Dress is a medium scale Jacobean floral on a woven jacquard ground. 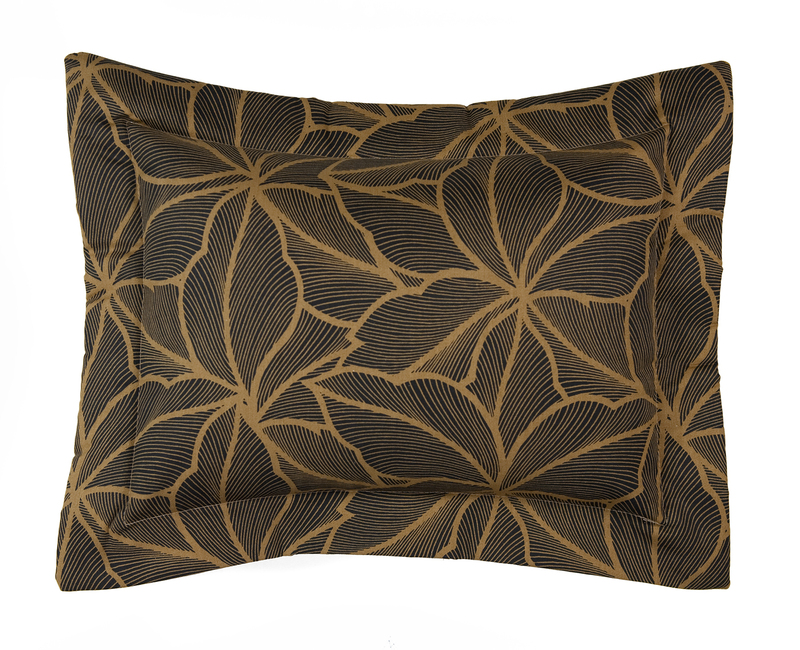 Use them in any room where a casual, elegant look is desired. 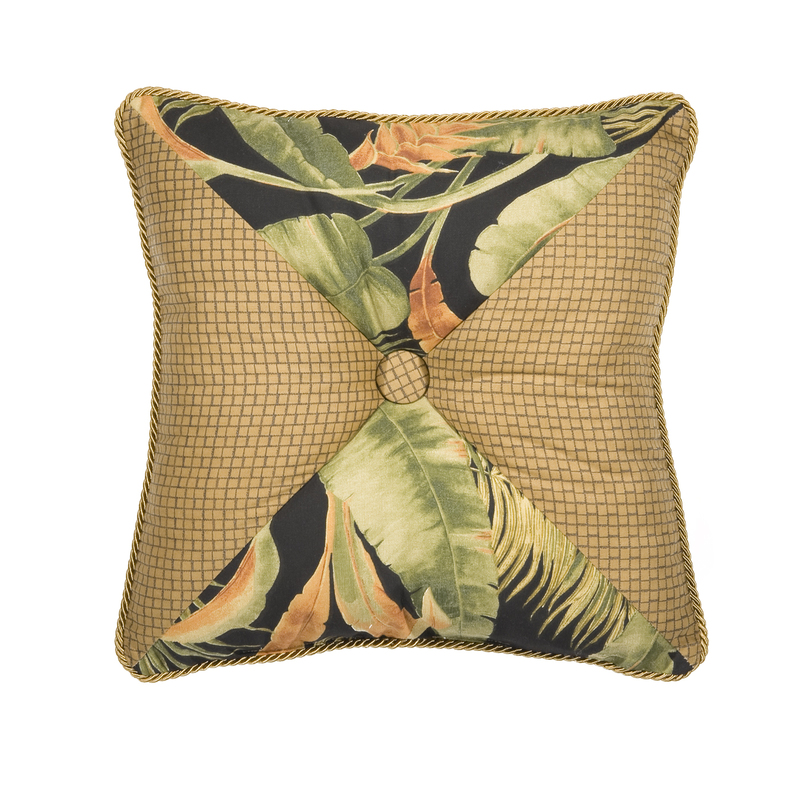 The La Selva Breakfast Pillow is a lovely three-panel pillow made from three-pieces of fabric tied together with a gold braided cord to connect each piece and border the edge. 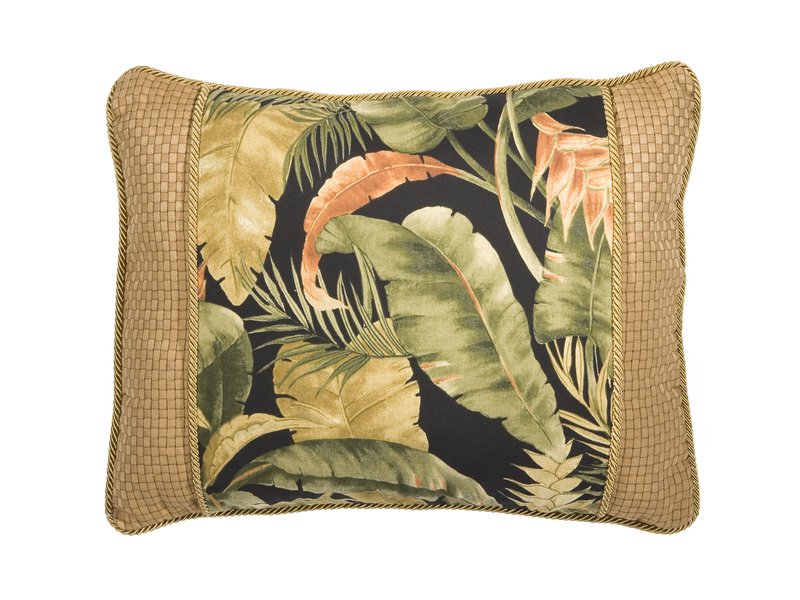 The center fabric piece, made from 100 percent cotton duck fabric, is printed with a tropical pattern featuring palm leaves and rainforest greens with birds of paradise blooms over a black background. 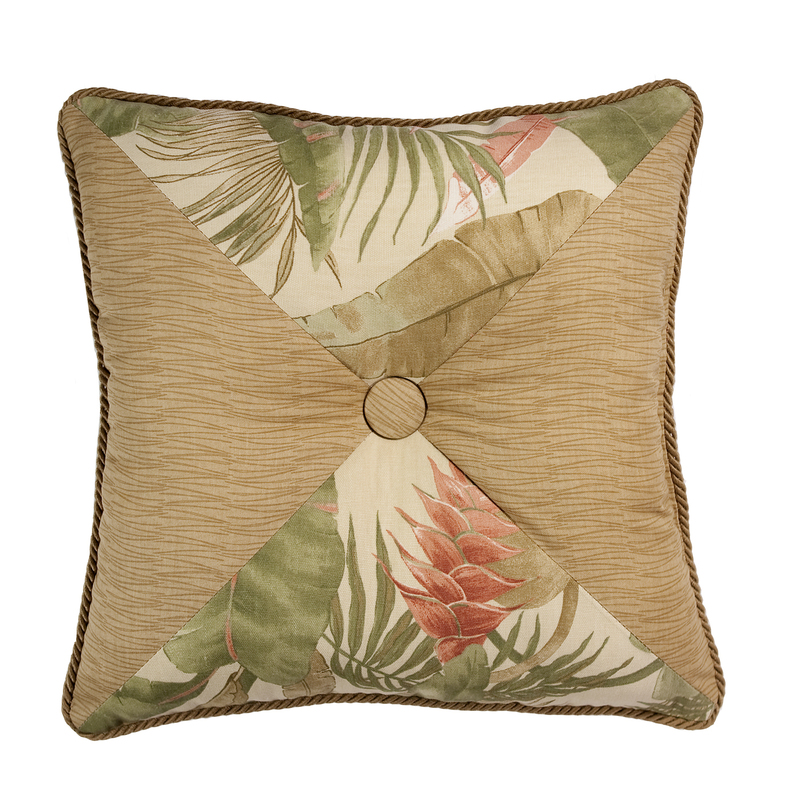 The two edge panels feature a checked print that looks like woven rattan, to coordinate with the tropical theme. 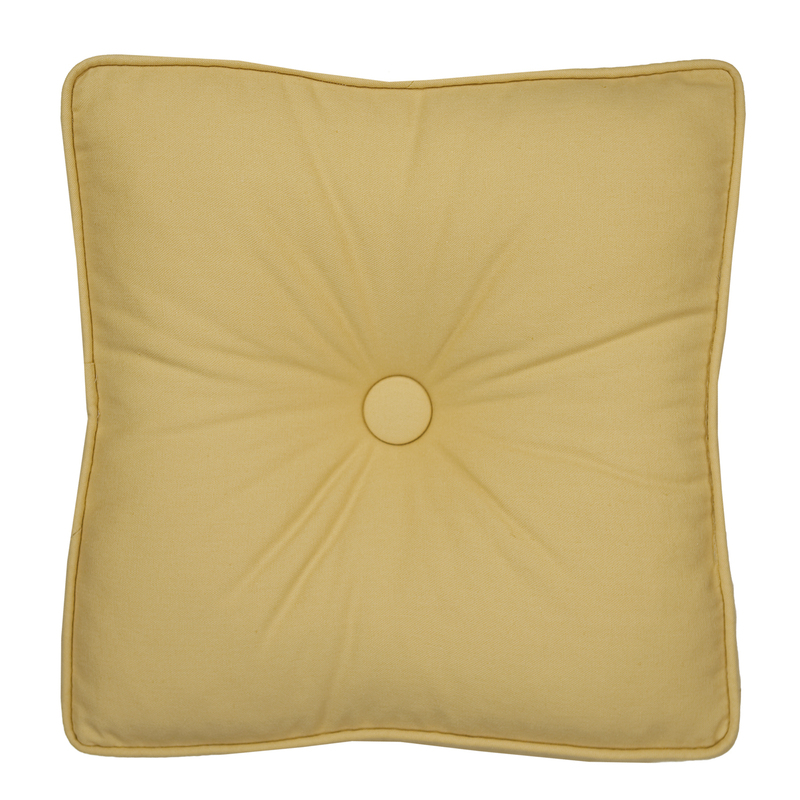 The pillow is 20-inches wide and 16-inches tall, and is made in the USA. 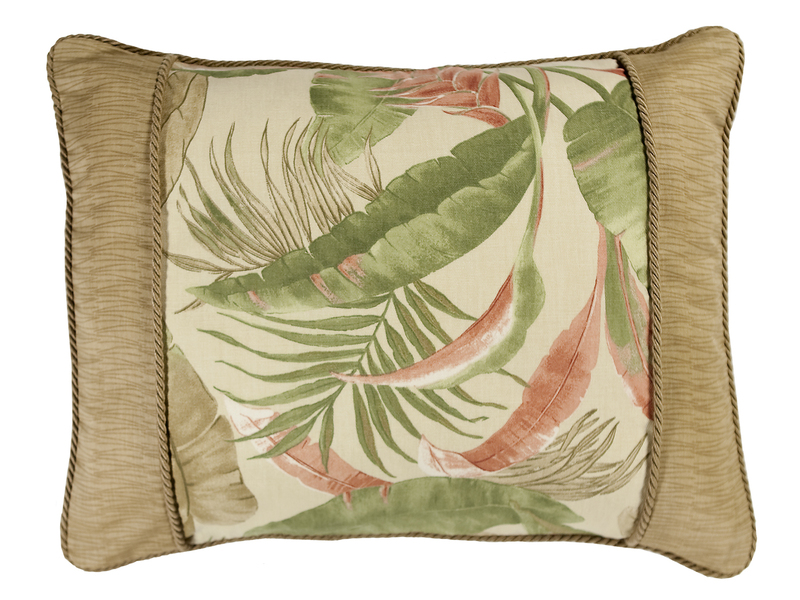 The La Selva pattern coordinates with matching drapes and bed sets, and goes well with neutral color schemes. 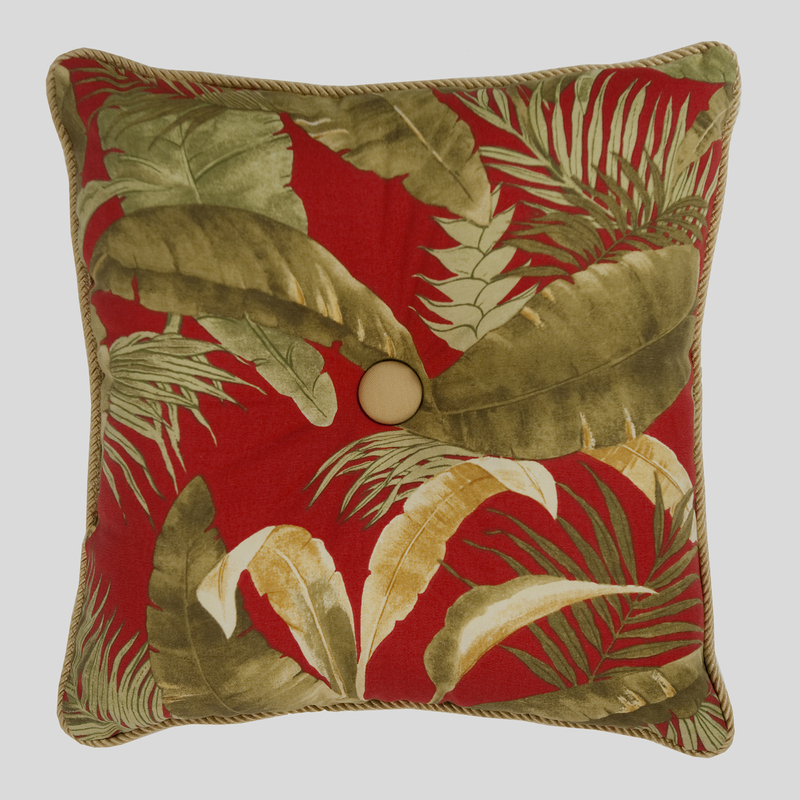 This textured neutral La Selva Breakfast Pillow is the perfect throw pillow for a bed, couch or chair. 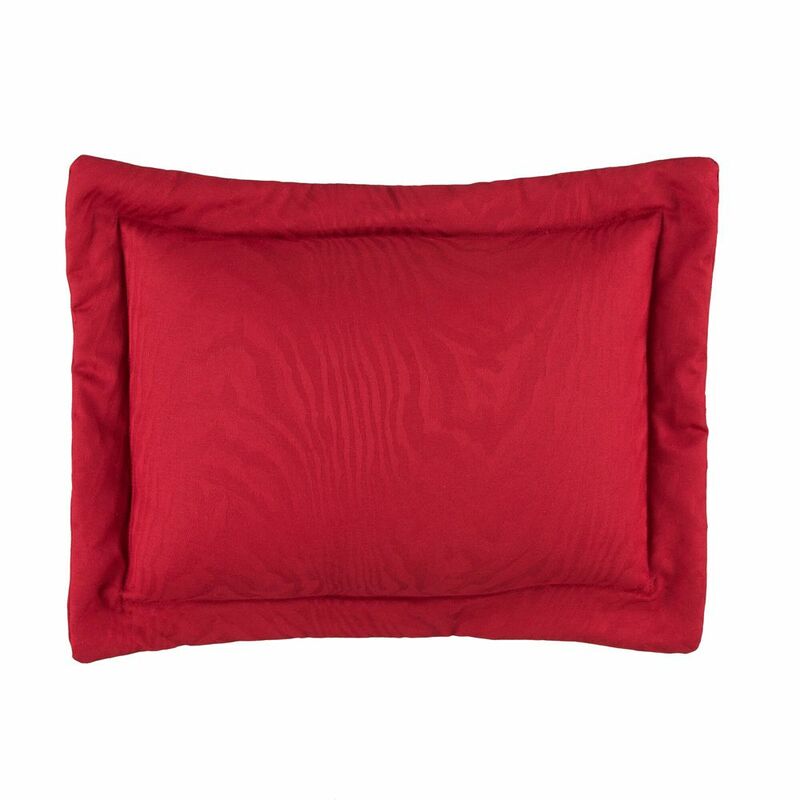 The pillow measures 20-inches wide by 16-inches tall and is made in the USA, it has flange edges and an envelope closure. 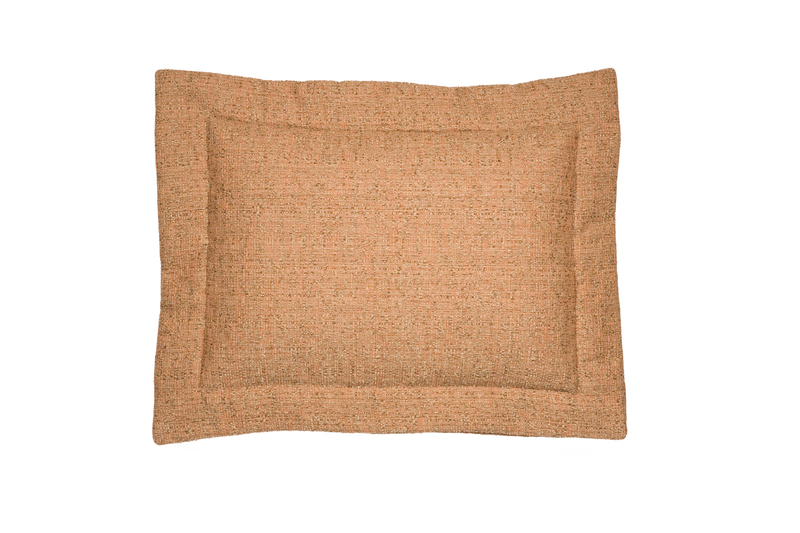 A heavy woven textured fabric makes up the solid pillow, and gives it interest. 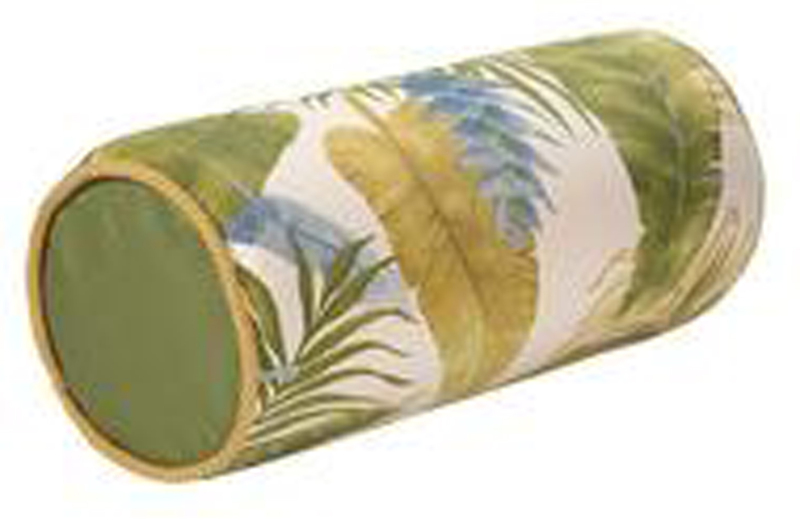 The pillow is part of the La Selva tropical print line of window curtains and bedding, and coordinates well with the print, though it can coordinate with neutral color schemes in any room. 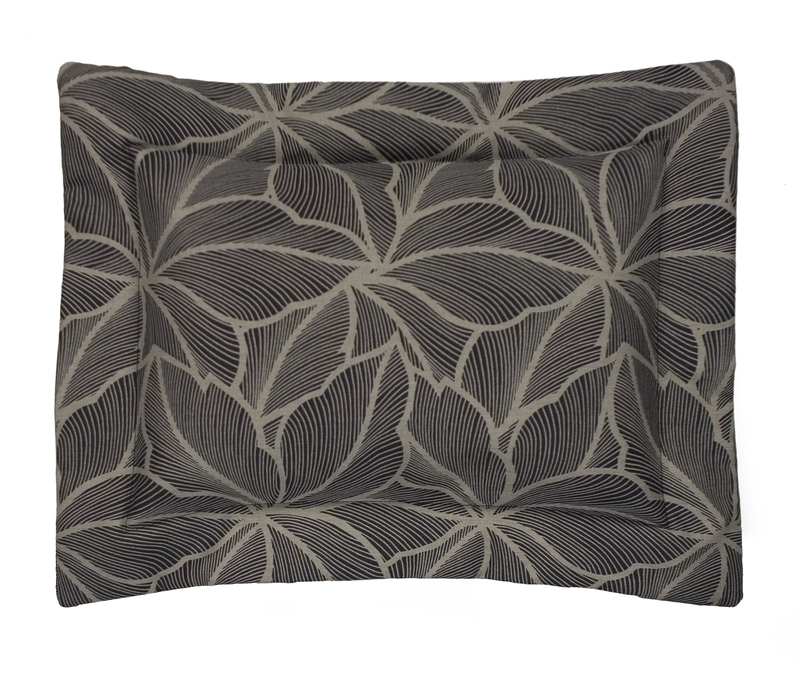 Four fabric panels create an intriguing 18-inch by 18-inch square throw pillow from Thomasville. The four panels cross diagonally in an alternating pattern that includes the La Selva bold tropical print with a floral design over a black background. 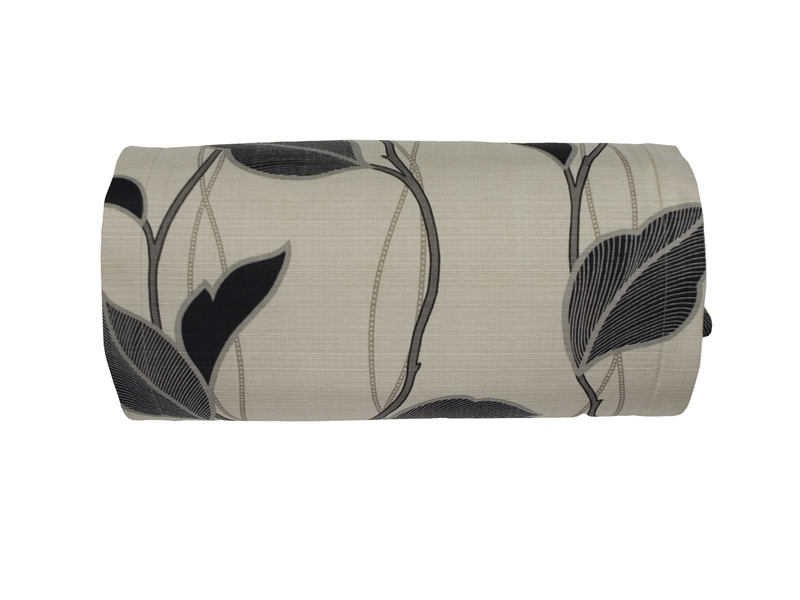 The alternating fabric is a taupe print that looks like a rattan weave, with a center button using the same fabric. 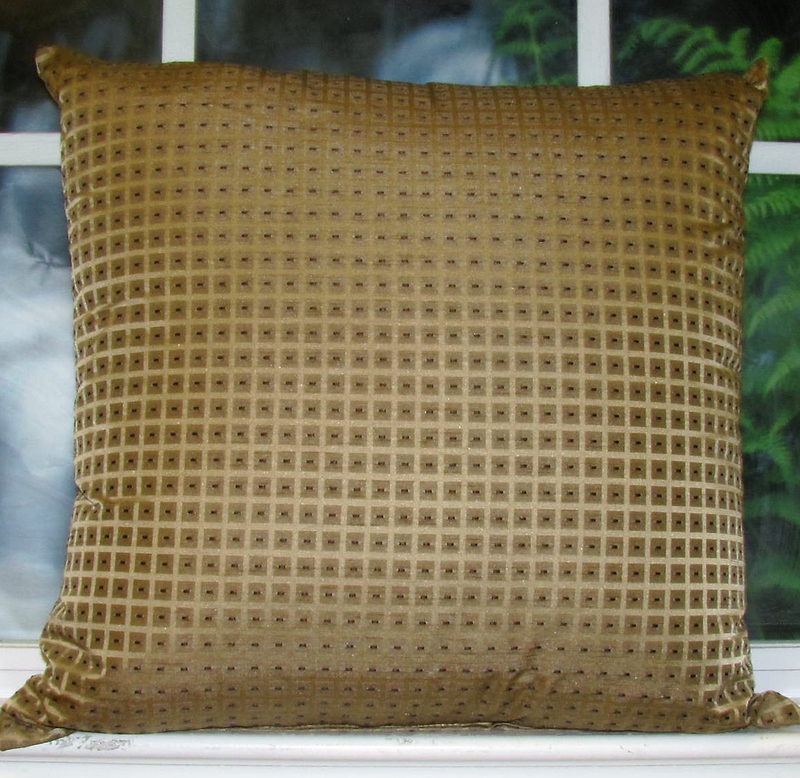 A gold braided cord edges the square pillow. 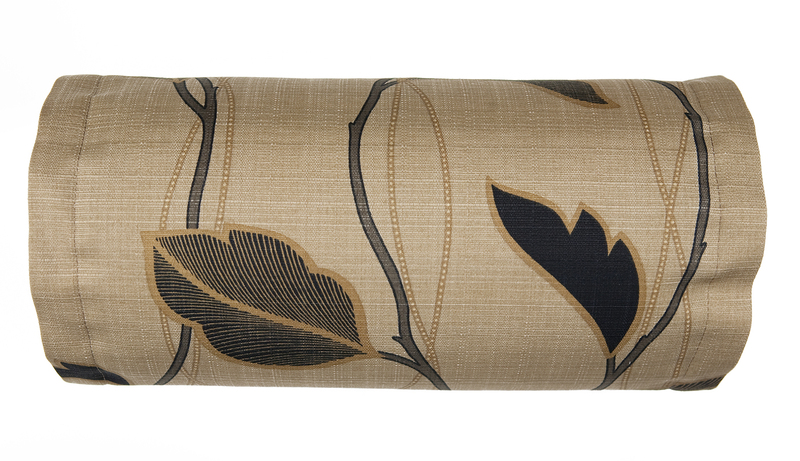 The throw coordinates with the La Selva line of bedding and window curtains, and also goes well with neutral décor. 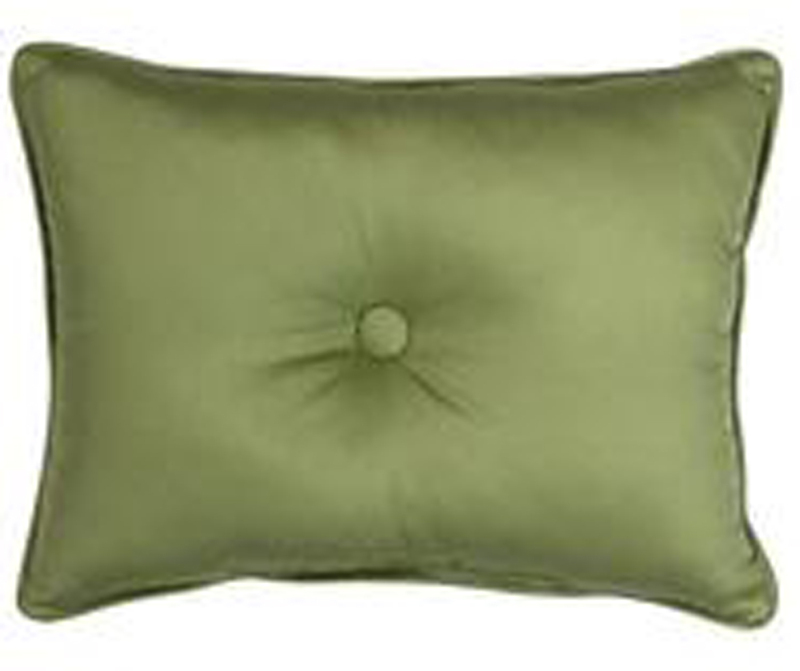 The pillow is made in the U.S. by Thomasville. Made of two piece construction with piping on four sides. Made in the USA of 100% Cotton. two piece construction with piping on four sides. Made in the USA of 100% Cotton. 17 x 17 and self corded. 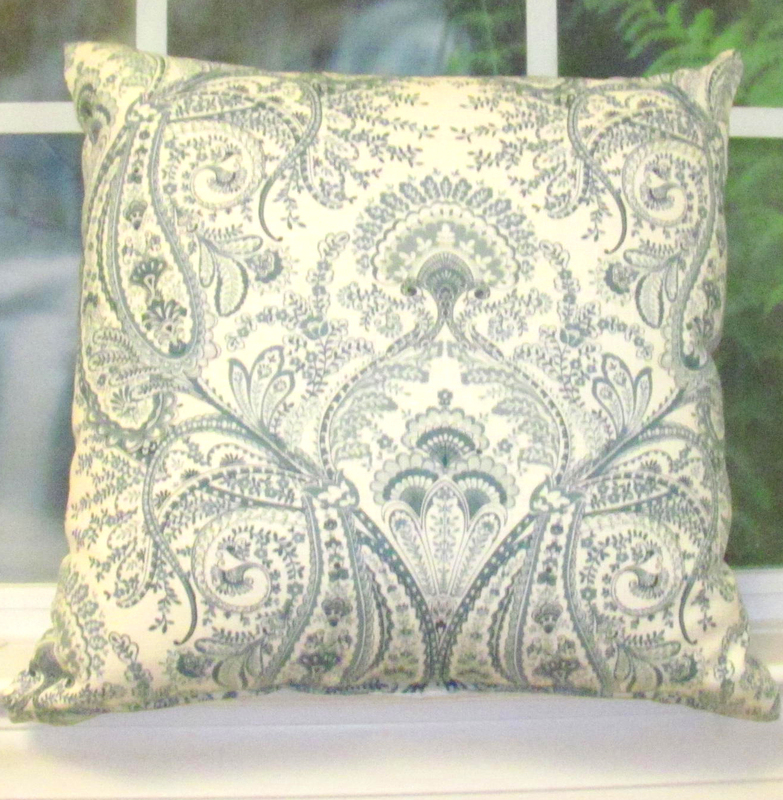 Made in North Carolina USA, this awesome super stuffed toss pillow face of paisley blue tones on a winter white ground. decorative rod. 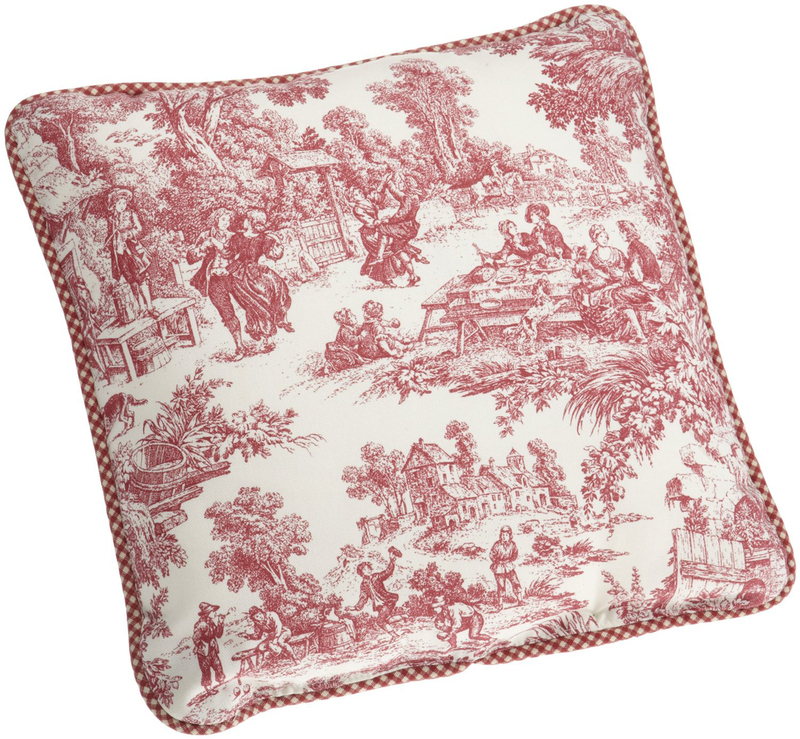 It measures 17 x 17 with an overstuffed width of 8 inches. 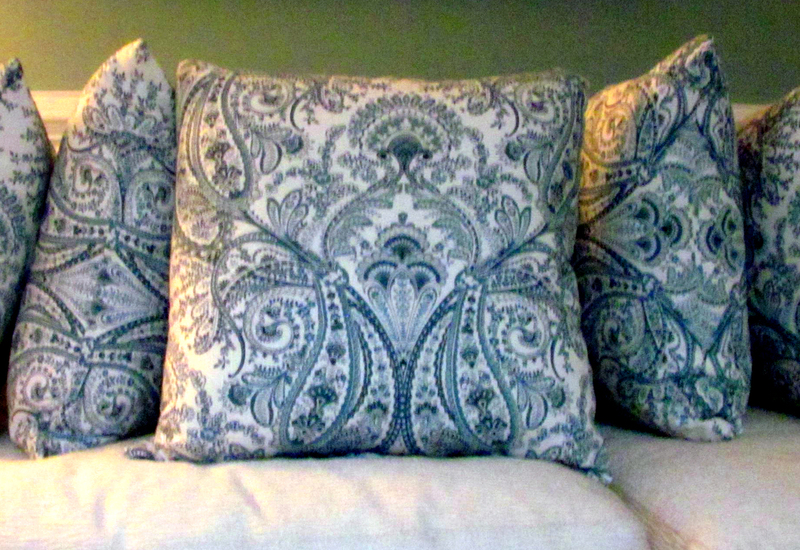 This is an opportunity to purchase Melody Aqua Marine Tossed Pillows at a real bargain. 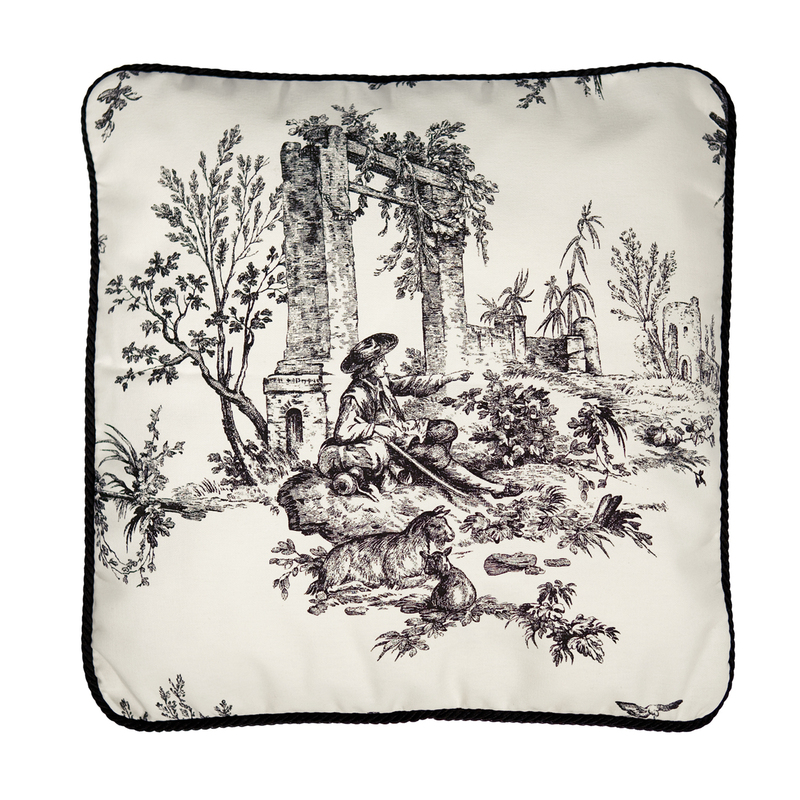 It is perfect for your living room sofa, den, bedroom and more. 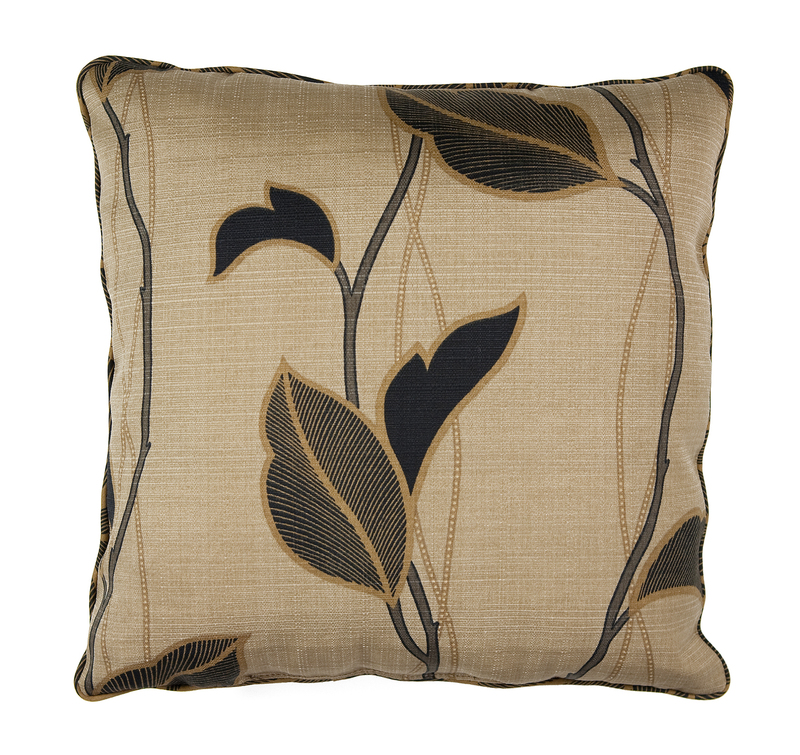 The Curtain Shop offers a wide selection of decorate toss pillows in a range of textured, embellished, solid and patterned designs. 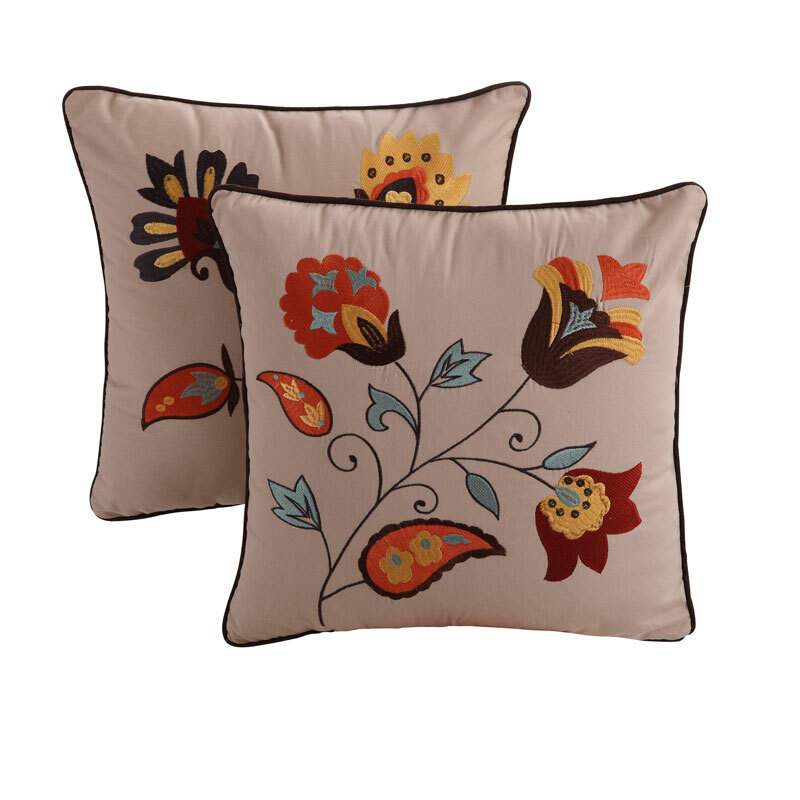 With these toss pillows, adding the final flair to your room is easy. 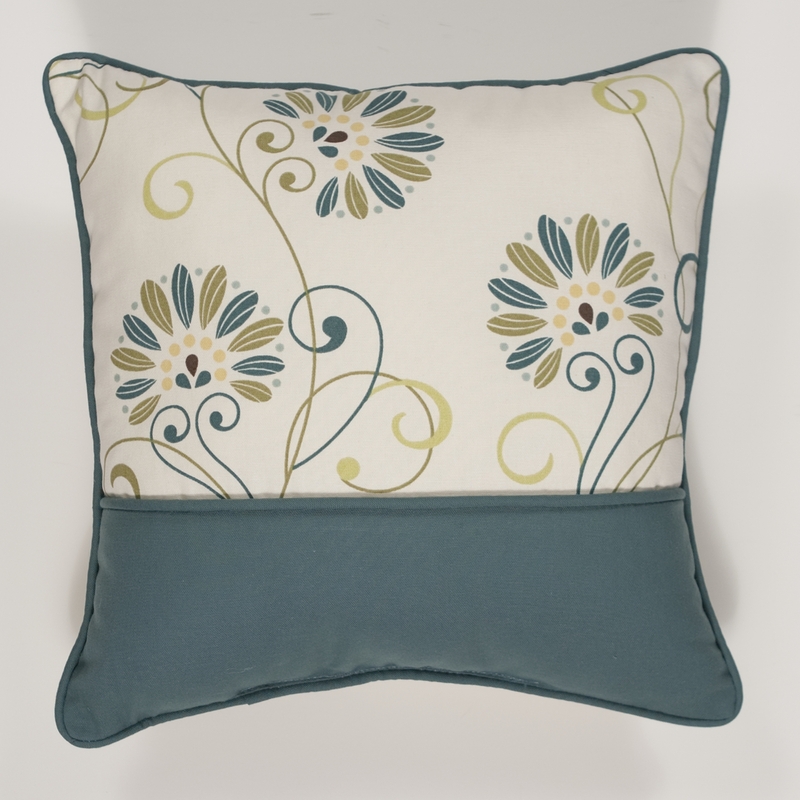 Styles include square, cushion and neckroll pillows. 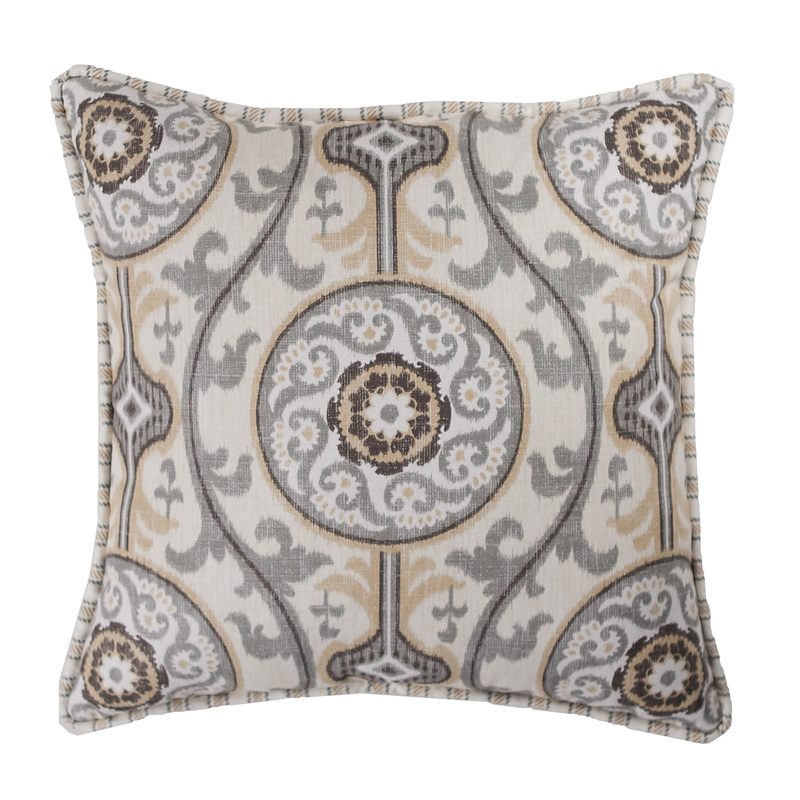 While our decorative pillows can add a stylish touch to any bed, sofa or chair, these pillows also can make any space in your home more comfortable and inviting. Prints also can add artistic expression to the décor of your room. 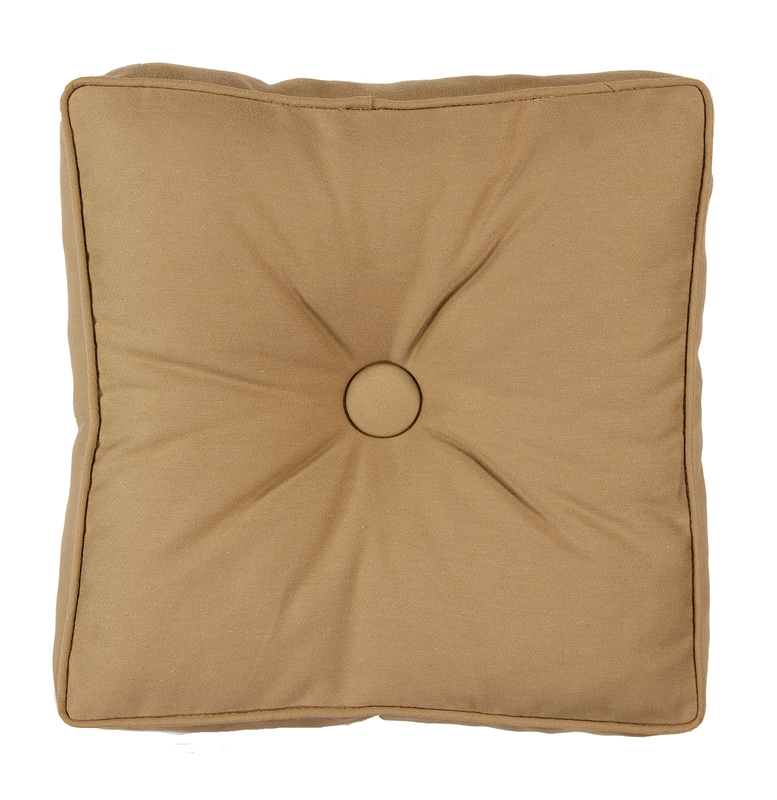 Our toss pillows come in a variety of sizes. Many are made in the USA with high-quality materials. 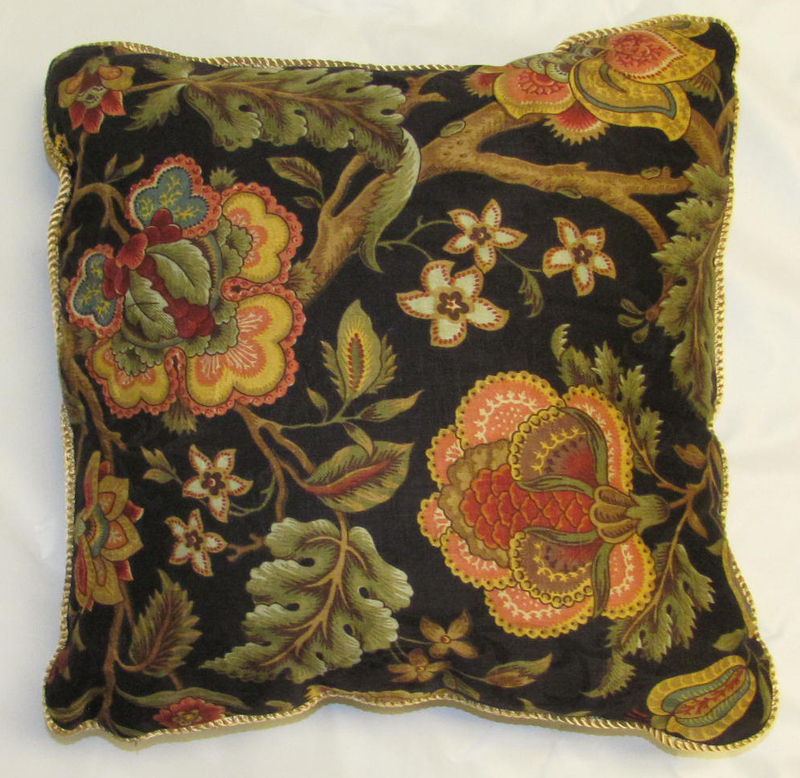 You can visit our website at thecurtainshop.com to browse out extensive collection of toss pillows in a range of styles. 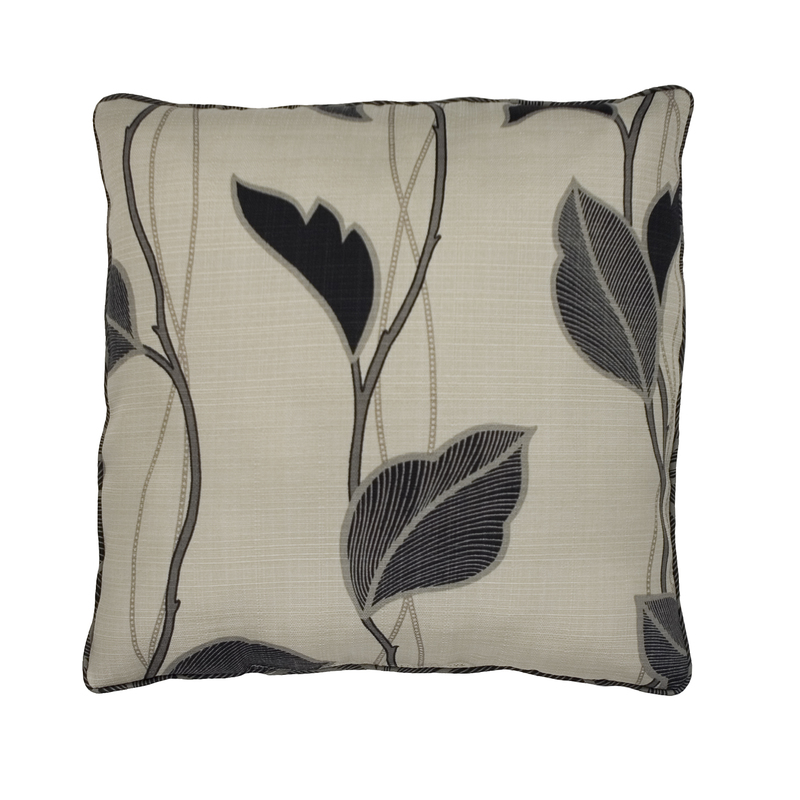 Once you've found the perfect pillow for your room, you can order with confidence. You also can get shipping information and additional product details, including dimensions for your selection online.